I really don't have anything to say. I am Andrew. I Love Lady Gaga. I love music and Pokemon. Harry Potter too. Amazing work....love the FF XII Esper wallpapers...they give me a warm feeling from memory inside. 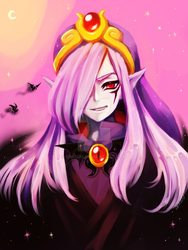 hey sorry to bug you, i thought you might want to see this: www.change.org/p/nintendo-make… its a petition to put Vaati in Hyrule Waariors as a playable character! I simply love your Legend of Zelda wallpapers, they are amazing. Keep up the amazing work. Thanks so much! I will definitely try. You're Zelda wallpapers are to die for! My inner fangirl is screaming for joy, lol.